Server Maintenance On October 31. Available from October 31. On this week's edition of our Astral Puzzle, the dangerous Ancient Midnight Ghost Rin will make an appearance in several forms. Within her senshi contracts and costumes, you will be ready to celebrate halloween in a warrior-style like. - Release of Midnight Ghost Costume Set. - Release of Rin Midnight Dress Set. - Midnight Ghost Rin Senshi Contracts. - Costumes ready for adventurers! If you are still trying to dress up for this Halloween, the AP Store will give you the perfect opportunity: With dark looking costumes, ornaments, accessories and mounts, this edition will be the perfect fit for a spooky night. But if you are already over the whole halloween deal, then we have something far more normal prepare for you in the LP Store, and not because of that, more common looking. With the release of three brand new hairstyles, this LP Promotion will help you look trendy, cool and relaxed. No way you would miss this! 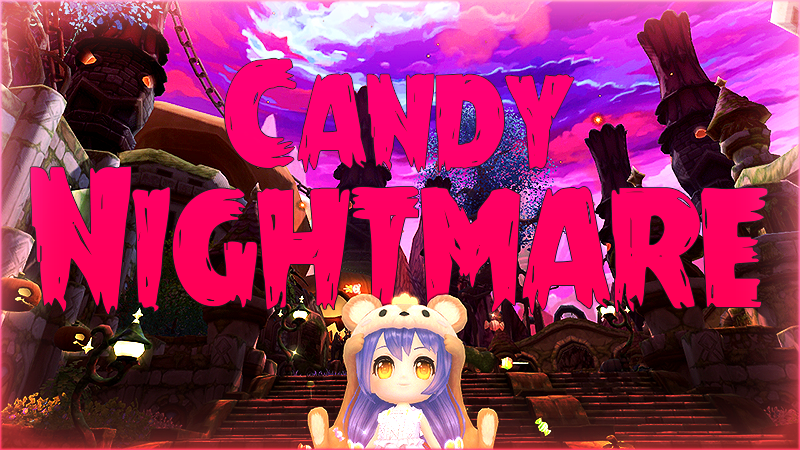 Halloween is near and our little candy addict it's once again ready to continue her adventures. Twice a day from the city of Arcadia, you will be able to enter GoGo's challenge: trick or treat dungeon. Help our little kid to go trick or treating and collect as many candies as she can. She will have to face several greedy enemies to get those sweets: senshis seems to be pretty obsessed with candy. And of course, GoGo will also have to escape from the dubious hands of Creepy Samuel! The task can be quite challenging and it won't be easy to end the dungeon in one piece. The more candies you collect, the best reward you'll get: you can exchange the candies for valuable items and senshi contracts in the Celestial Compedium. On this year's edition of our classic Halloween Dungeon, you will be able to exchange as reward many senshi contracts, with a special Gods Rampage Edition. Including the release of the newest addition to our witch collection: Dark Starry Serena. Plus, Astral Shards, Senshi Rerolls and Transfer Scrolls, and Senshi Crystals! The dungeon will be available from today and until November 9.